Dr. Elliott Hershman is a noted Orthopaedic Surgeon who specializes in Sports Medicine, particularly focusing on knee injuries such as Anterior Cruciate Ligament (ACL) tears, meniscus issues and patellofemoral disorders. His surgical expertise includes advanced arthroscopic surgery techniques for ACL injuries, patella instability, articular cartilage disorders and meniscus tears. As part of his Sports Medicine activities, he is the Team Orthopaedic Surgeon for the NY Jets and has served in the same role for the NY Islanders and the Hunter College Athletic Program. Dr. Hershman is committed to advancing the care of athletes through research and is a member of the internationally recognized MARS (Multicenter ACL Revision Surgery) group of researchers, studying and publishing the outcomes of ACL revision surgery, and in particular the nature of recurrent ACL issues. 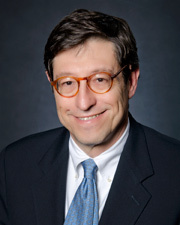 He is the James A. Nicholas Chairman of Orthopaedic Surgery at Lenox Hill Hospital and is the Vice-President for the Western Region of the Orthopaedic Service Line for Northwell Health. In addition he is an Associate Professor of Orthopaedic Surgery at the Donald and Barbara Zucker School of Medicine at Hofstra/Northwell. Dr. Hershman has been recognized annually in America s Top Doctors since 2004 and has been a NY Magazine Top Doctor since 2002. He has been listed in the NY Times Super Doctors for the past 10 years. With his colleagues in the MARS group of researchers, Dr. Hershman received the O Donoghue Sports Injury Research award from the American Orthopaedic Society for Sports Medicine for the paper entitled Revision Anterior Cruciate Ligament Reconstruction Graft Choice Impact on Outcome in the MARS Cohort . "Dr Hershman is a caring and friendly personHe is clearly very concerned about me and was very patient with my questions and my suggestions about my knee stress fractureI have gotten much better by following his prescriptions and taking the medicine he gave meeach visit has been pleasant and productive"
"Dr. Hershman was thorough, explained everything, highly professional & friendly." "Both Dr. Hershman and his medical assistant Michelle Demeo are superb!" "Dr. Eliot Hershman is the only medical doctor I use and will continue to go to who does not take my insurance. paying O.O.P. is challenging but worth it." "Dr. Hershman is an excellent doctor. Always shows concern, eases your worries and never in a rush." "Dr.Hershman is the BEST - went in& could barely walk - knee in terrible pain - left a NEW person! Pain free!! & no surgery!" "He's the best. Always has a plan & gives me hope." "I had not seen Dr. Hershman in over 10 years and he treated me like friends that see each other every day." "Dr. Hershman sets a standard I wish all other doctors would follow." "I've known Dr. Hershman for more than twenty years. Excellent physician!!" "Dr. Elliot Hershman is the best"
"Dr. Hershman, Michelle PA & anesthesiologist were all competent, caring individuals that were attentive to my needs & did a great job during the procedure & post op." "More than "very good". Excellent - more than excellent! The very best physician surgeon care giver. I am 71 yrs old now. I will always remember this outstanding physician. 10. I have many times. " "Dr. Hershman is an outstanding physician." "Dr. Hershman is "the best."" "I saw 4 other doctors - he was BY FAR THE BEST, FRIENDLIEST, MOST HONEST! & most informed!" "Dr. Hershman is the best. He understands knees better than any other doctor I've met." "Dr. Hershman & Michelle spent a lot of time - approached knee problem with excellent conservative & thoughtful treatment." "If and when I do decide to do my knee replacement I have found my doctor in Doctor Hershman. " "I recommend Dr. Hershman all the time - he is just great." "I have been a patient in Dr. Hershman's practice for many years! it is almost impossible for me to adequately describe his, skill, intelligence, competence, knowledge, caring, and consideration! He is an unique and exceptional professional and I am most fortunate to be in his care!!" "I believe that Dr. Hershman is the BEST in the business. I have complete trust and love for Dr. Hershman." "World's top notch physician! No one better!" "dr. Hershmann is exceptional - his skill and experience is fabulous but he's just a really nice guy with great bed side manner." "Dr. Hershman was thorough calm & clear in explaining his recommendations. I have a great deal of confidence in him." "Dr. Hershman is a trusted doctor who has enormous knowledge on knee problems - I totally trust him." "Dr. Elliott B. Hershman -- clearly one of the better care takers I have interacted with -- knowledgeable, articulate, empathetic"
"Great, competent physician - I had two very successful knee surgeries with Dr. Hershman. Excellent doctors & experience!" "The doctor was informative and obviously very experienced." "Dr Hirshman and Michele De Leo was excellent care givers." "Dr. Hershman is the best." "Dr. Hershman is very attentive, kind, & competent wonderful doctor." "I have been Dr. Hershman's patient since 1999! He is an exceptional professional, intelligent, knowledgeable, caring, understanding, sympathetic, sensitive, respectful; an asset to his profession AND your hospital!!" "Dr Hershman is a very good provider." "Dr. Hershman is the best! He is caring, experienced & kind & follows through -"
Elliott Hershman, MD, opines in this report. Yoga always made Jan feel better. But, when knee pain prevented her from practicing this holistic healing technique and oasis in her week, she knew she had to act. She decided to have her knee replaced at Lenox Hill Hospital, which is unique in its focus on minimally-invasive techniques.